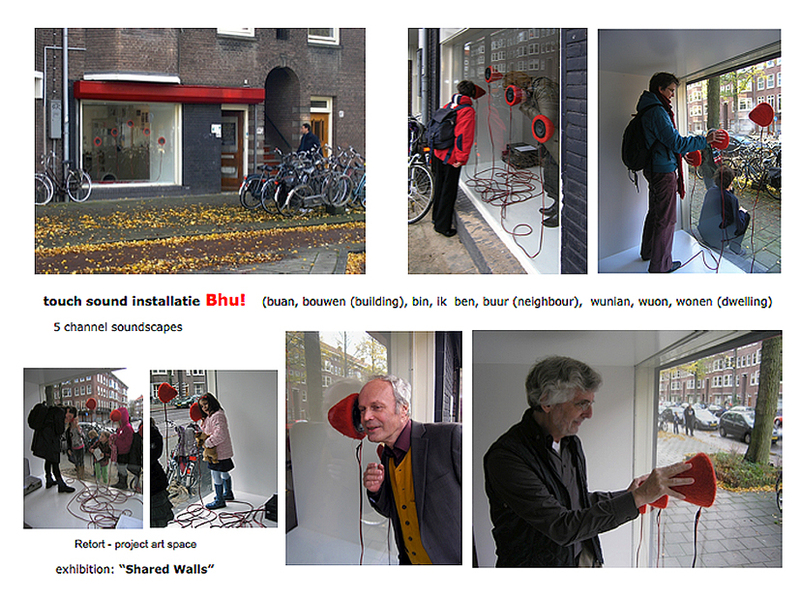 2009 The soundscape installation / artistic research project: Bhu ! (buan, bin, building , ik ben (Dutch: I am), wuon, wunian, wonen (Dutch: to dwell), I live in the neighbourhood. referring to the essay of M. Heidegger: “building, dwellling, thinking”. Bhu! was presented as “tactile sonic intervention” in the artist project- space Retort in the south of Amsterdam as part of the “Shared Walls” group exhibition, with touchable soundscapes and sound stories of neighbours about the meaning of “feeling at home” in relation with the sounds and soundscapes at home and in their neigbourhood. 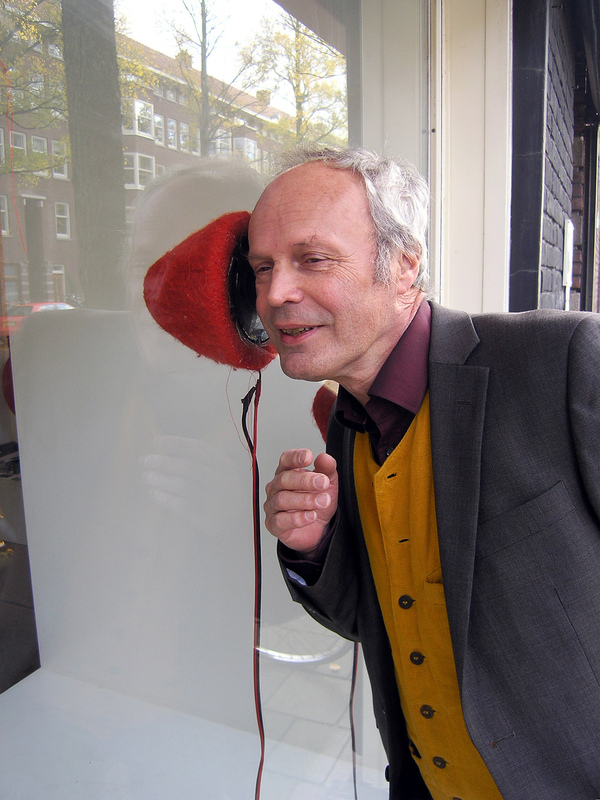 Visitors and neighbours could hear to and feel the soundscape stories through the glass outside on the street at the window of the project space and inside. Thanks to a grant of the CLUE research institute for heritage of the VU Amsterdam.